It had a lot of footage we'd seen already but it was set to a jumpin' 40s swing tune which gave the whole thing an amazing sense of flair. Even before I realized what it was, I knew I had to see this show. I can't find this version of the commercial anywhere and it's making me hulk out. But suffice it to say this thing continues to look amazing. 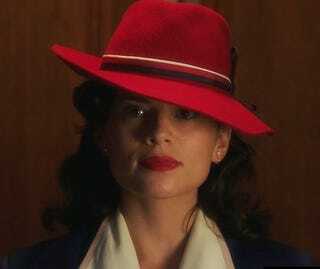 Marvel has a way of making the 40s pop and I am really looking forward to it.